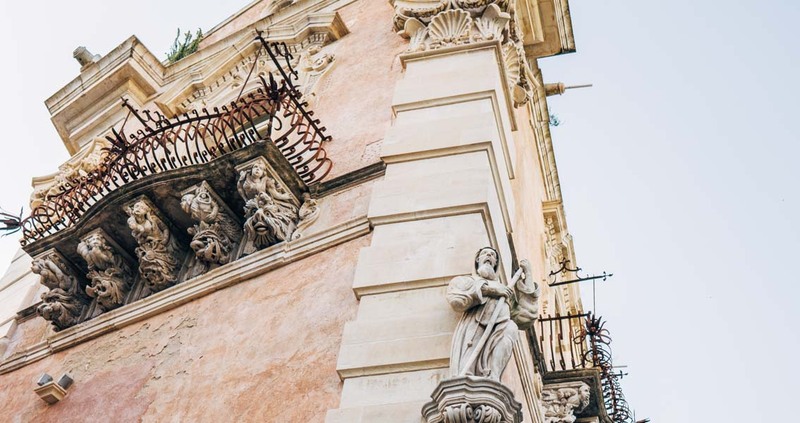 The Cosentini Palace has a majestic facade which is characterised by wonderful sculptures. The Cosentini Palace, located close to Corso Mazzini, was built in the last years of the 1700s by the baron Raffaele Cosentini. The main feature of this ancient and charming building is its facade full of incredible sculptures located under the balconies. There are a group of sculptures representing some women with lots of fruit and cornucopias (the symbol of wealth and abundance) and under the other balconies you can admire a flute player, a mountebank and many others. These kind of grotesque statues were created to attract attention and to highlight the beauty and the prosperity of the palace. Thanks to its astonishing Baroque architecture and its gorgeous sculptures it has been included in the UNESCO World Heritage list. 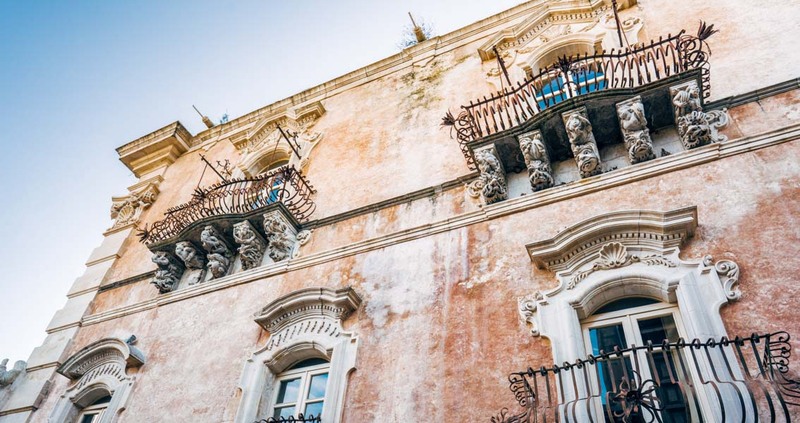 The Cosentini Palace is located in the fascinating old town centre of Ragusa Ibla, the historical part of Ragusa.